DUE to a postal error and issues with registering, it is believed that tens of thousands of ‘key’ Remain-voting expats could not vote in the historic EU Referendum on June 23. In a vote which saw Britain choose to sever its membership with the European Union, expats along the Costa del Sol and inland – many of whom rely on EU membership for free healthcare – are, for the most part, flummoxed. 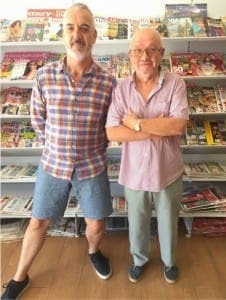 “I had dozens in my shop alone who got their slips one or two days before,” said The Sabinillas Bookshop owner and postal service holder Stephen Davies, 47. “This was too late to vote and they were left very upset. “The postal service is just too unreliable and we are too big a group to ignore – in fact many, many more than Sunderland or Newcastle. Another expat Brian Flude is also very concerned about lapses in the postal vote. Many ‘postage paid’ envelopes received were only eligible for free postage within the UK and were ‘binned by the Spanish postal service as they were not paid for’. 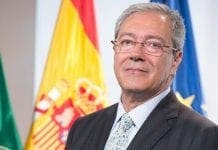 “It appears that many hundreds of people in Spain and elsewhere were denied the right to vote due to the incompetence of local councils and possibly the Spanish postal service,” said Flude. Meanwhile, a petition calling for a second EU Referendum, which had 900,000 signatures this morning had gathered 1.75 million by 3pm. I live inland from the Costa del All in Alhaurin El Grande. I arranged weeks ago for a proxy vote. My sister did mine so no problems. I was told it was the best way to do it because of the post. I signed the online petition for a second referendum so maybe we will get another chance to get it right this time. Total farce from beginning to end. I received my ballot paper the afternoon before the referendum, with no way of returning it on time. I am not eligible to vote due to living outside the UK for more than 15 years. I know someone who received a postal vote which was postmarked the day of hte election – so no way it could have arrived on time. What number are we talking about here ? Could it be the missing million that would have made a difference ?